Michelle will soon be getting a Blackberry from work so they can keep a tighter leash on her… ;-) She works in the IT department of a Calgary-based, global energy company. During a team-building outing, she asked the IT department’s head of security about the possibility of getting an iPhone instead – he flat out said no. "If everyone starts getting iPhones I’ll no longer be needed and it will only be a matter of time before I’m out of a job." He wasn’t kidding either! It sheds light on why Windoze, though irrefutably inferior to Mac OS X in countless ways, (especially in regards to security), is still the most popular operating system in the "business" world. About a year ago the corporate information technology (IT) world was filled with angst awaiting the roll-out of the new iPhone. If the pundits and the hype were to be believed, the day after the iPhone came out we’d find all the executives queued up outside our doors demanding that we get them this cool new iPhone and somehow figure out how to connect it to the corporate e-mail system too. At the time, I predicted that this would turn out to be much ado about nothing. Happily, I was spot on. From a corporate perspective the "cool" factor wasn’t enough to overcome the issues of cost and the inability to connect with corporate e-mail systems. Apple (nasdaq: AAPL – news – people) is now set to launch its 3G iPhone and is taking aim squarely at the corporate user, no doubt hoping to displace the corporate standard BlackBerry. The 3G, which stands for "third generation" and promises the latest in high-speed Internet access for your phone, has certainly edged closer to meeting corporate needs. But is it enough? On July 11, when Apple starts shipping the iPhone, will we find hoards of colleagues at our door, demanding iPhones? The biggest obstacle to the iPhone was e-mail. According to Apple’s Web site, 3G provides "support for Microsoft Exchange ActiveSync and industry-standard corporate security standards allows IT professionals to seamlessly integrate iPhone into their corporate environments." Taking Apple at its word, I’ll give them credit for e-mail and check that box off. However, as Brian Caulfield points out in his article "Seven iPhone Disappointments", there are numerous other shortfalls compared to the BlackBerry that may keep people from switching. Here’s the big one for me: the fundamental approach that Apple and BlackBerry have taken. One puts consumers first; the other puts business executives first. Apple is primarily a music player and phone that can now also do e-mail. BlackBerry has from the start focused primarily on providing the business user with an e-mail device that also works as a phone. A subtle difference perhaps, but it would appear to have a resulted in significantly different outcomes. Consumers have loved the iPhone’s display and its "soft" keyboard. But heavy e-mail users will find that interface cumbersome compared to BlackBerry’s separate keys. Is it a showstopper? People may indeed adapt to using the soft keyboard. Over time we may see the thinking on this change as people get used to the new keyboard. So, no, the "soft" keyboard may not kill enthusiasm in the corporation for the iPhone--but it could certainly slow it down. Another factor: The second iPhone isn’t as cool as the first. It simply can’t be. Cool is having something new and different that no one else has. The 3G phone is an evolution and not a revolution. Millions of people already have iPhones--and Apple’s competitors are scrambling to come out with competing phones with similar features. As a result, the iPhone has been downgraded from "cool" to "interesting"--again, a trend that could temper corporate users’ demand. So Here’s my second-generation iPhone prediction: Corporate IT managers shouldn’t lose sleep over this one. 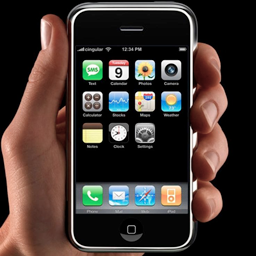 I don’t think we will have a sudden demand to connect the iPhone 3G to our corporate e-mail systems although there will no doubt be some movement in this direction. Corporate IT had to adapt to the BlackBerry, and we’ll have to adapt to the iPhone too. But echoing my conclusions from last year, there’s still enough time to get out in front of this and figure out how to use it correctly rather than being forced into supporting a device we’re not prepared for. The iPhone represents neither Armageddon nor The Rapture. In the end, we may find it to be … just a phone. What are your plans regarding the iPhone and your corporate e-mail system? iPhone Bad for IT was published on Thursday, June 26, 2008 at 6:12pm MDT by Daniel Menjívar and last updated on April 11, 2018 at 9:30pm UTC .